Click here and we'll help you find the right product for you! 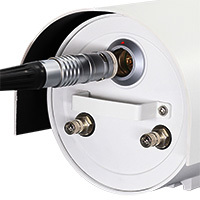 BOLIN’s True Dual Output PTZ cameras support simultaneous 1080i59.94 3G-SDI and 1080p IP outputs built with extremely quiet pan, tilt motor and movements for indoor and outdoor applications when connecting to professional broadcast switching equipment. With its latest Zero Deviation Positioning technology, PTZ ensures high precision and accuracy when using presets and patrols for auto touring. BOLIN Dual Output PTZ cameras are ideal for indoor and outdoor environment use in Broadcast, Pro AV and security applications to have real time uncompressed video and capability of video streaming and remote controlling via IP. ■ With Sony image module as its core, Bolin Dual Output camera provides simultaneous 3G-SDI broadcast quality video with no latency and IP video output using the latest H. 264 video compression for live streaming and remote manageability. ■ It’s True Dual Output camera supports 1080i SDI resolution with 1080p IP resolution. 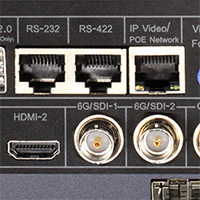 SDI video and IP video can be set up separately. ■ 3G-SDI video supports up to 1080p60, 1080i59.94 and IP video resolutions up to 1080p30. 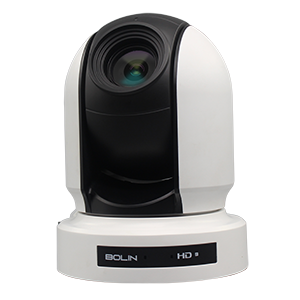 ■ Bolin Dual output PTZ camera equipped with high-sensitive, high-quality Sony image module provides crisp and clear superb Full-HD image quality even in low-light environments. ■ Wide range of features for versatile operation: Color Enhancement, 2D/3D noise reduction, 120dB true WDR, De-fog, HLC(High Light Compensation), Auto ICR. ■ Bolin Dual Output PTZ camera provides three methods of controlling: Serial port RS422/RS485 and IP. Supports protocol VISCA, PELCO D/P, ONVIF IP. It gives you capabilities of local control and remote control without distance limitations. ■ EX1000 4K Series-Extra vertical 30° tilt angle gives greater view of upper area. ■ +30° to - 90° total 120° tilt angle range. ■ SD500 4K Series-• Extra vertical 15° tilt angle gives greater view of upper area. ■ +15° to - 90° total 105° tilt angle range. 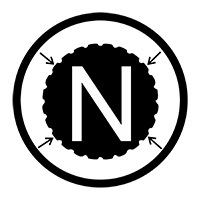 ■ Horizontal 360° continuous rotation. ZDP - Zero Deviation Positioning technology for ensuring high precision and accuracy in preset programming, never losing presets and patrol. Power: 24VAC, 80W nonstandard PoE optional. BOLIN Dual Output PTZ cameras are indoor integrated pan, tilt, zoom cameras that support simultaneous outputs with IP & HD SDI or IP & HDMI and smooth and quiet PT movements. 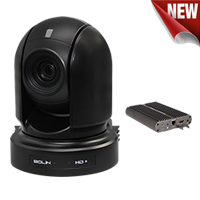 These compact, full HD resolution PTZ cameras can be used for video conferencing, IP streaming, local monitoring, broadcast viewing, recording and IP surveillance applications. ■ With Sony image module as its core, Bolin Dual Output camera provides simultaneous 3G-SDI broadcast quality video with no latency and IP video output using the latest H. 264/265 video compression for live streaming and remote manageability. ■ It’s True Dual Output camera supports 1080i SDI resolution with 1080p IP resolution. SDI video and IP video can be set up separately. ■ 3G-SDI video supports up to 1080p60, 1080i59.94 and IP video resolutions up to 1080p60/30. ■ Bolin Dual Output PTZ camera provides three methods of controlling: Serial port RS232, RS422/485 and IP, Protocol: VISCA, Pelco, VISCA Over IP and ONVIF IP. It gives you capabilities of local control and remote control without distance limitations. ■ IP protocol RTSP,RTMP for online video streaming. ■ Bolin 7 Series camera equipped with high-sensitive, high-quality Sony image module provides crisp and superb Full-HD image quality even in low-light environments. ■ Wide range of features for versatile operation: 2D/3D noise reduction, 120dB true WDR, De-fog, HLC(High Light Compensation), Auto ICR. 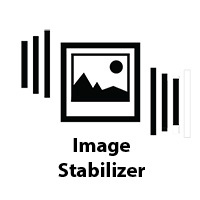 And comprehensive image parameter (Exposure/White Balance/Focus) setting for broadcast and Pro AV applications. ■ Two RJ45 Ports for RS232 and RS422/485 control connection when using network cable as control cable, it provides convenience of installation.■ Phoenix Connection Cable Adapter included. ■ Micro SD card for local storage. ■ Firmware upgrade via USB2.0 or IP provides capability of constantly improving the camera features and performances, even for customized function upgrades.. ■ PoE+(IEEE 802.3at) power ready. ■ Bolin Dual Output PTZs support extremely quiet Pan/Tilt movements for indoor environment use and ideal for video conferencing, filming studios, churches and lecture halls ■ Extremely smooth Pan/Tilt movement for applications requiring high zoom ratios and variable slow speed controls. ■ Image parameter setting restore with presets and quick access operation. Variable and Zoom Adaptive Speed Range: 0.05°〜100°/S. 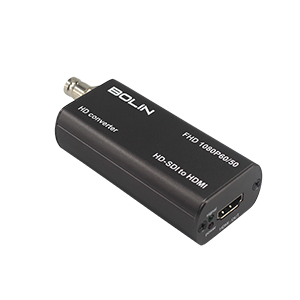 The FEX Series is BOLIN’s solution for providing high-quality Full HD and IP video capture in the harshest of environments. With a rugged design and internal housing pressurization with dry nitrogen, this series has been built to continue operating under all weather conditions. FEX Series Dual Output models using Sony image modules to provide 3G-SDI + IP for real-time broadcast-level video monitoring, as well as the remote manageability and scalability of IP video streaming. 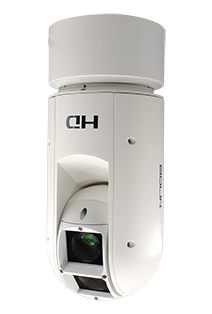 The FEX Series cameras can be managed and used in a wide variety of outdoor applications. ■ Bolin Dual output PTZ camera equipped with high-sensitive, high-quality Sony image module provides crisp and superb Full-HD image quality even in low-light environments. ■ Wide range of features for versatile operation: 2D/3D noise reduction, 120dB true WDR, De-fog, HLC(High Light Compensation), Auto ICR. ■ With Sony image module as its core, FEX Dual Output camera provides simultaneous 3G-SDI broadcast quality video with no latency and IP video output using the latest H. 264 video compression for live streaming and remote manageability. ■ It’s True Dual Output camera supports 1080i SDI resolution with 1080p IP resolution. SDI video and IP video can be set up separately. ■ 3G-SDI video supports up to 1080p60, 1080i59.94 and IP video resolutions up to 1080p30. ■ Dry Nitrogen pressurization not only protects electrical, mechanical, and optical components to remain free from contaminants but also prevents condensation on the lens and interior of the housing face-plate. ■ It eliminates the effects of water intrusion, pollutants and corrosives. No oxidation or corrosion to circuit boards, solder joints, wiring, or metal parts. It extends the life of the camera significantly. 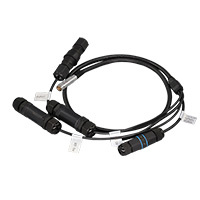 ■ MS connector and UV proof pigtail cable and waterproof connectors. ■ Video output: 3G-SDI, IP. ■ Provides control: RS422/RS485, IP control. Supports protocol PELCO D, VISCA, ONVIF. ■ Power: PoE+ (IEEE 802.3at). 12VDC/24VAC. Wide operating temperature range, -40°C to 65°C continuous, up to 74°C for 12 hours. BOLIN’s first 4K PTZ camera equipped with a full 1-inch CMOS sensor was designed to capture unparalleled quality 4K video. Sporting such large sensor, this camera offers the highest possible image quality in a compact form factor, offering superb image capture capabilities to any application that intends to capture every stunning detail of the scene set before it. It’s not only for brilliant broadcast-quality Super-High-Resolution color image in 4K30 with excellent low-light sensitivity, but also full HD footage can also be captured at up to 1080p60, which is optimal for capturing fast, spontaneous action. 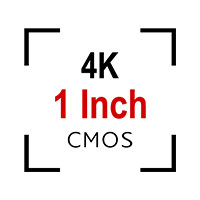 This best in class 4K resolution cameras with HDBaseT and optical video output option for applications in medium to large remote studios, TV newsrooms, conference rooms, sports stadiums, Live sports and events, Educational environment as well as corporate, house of worship, healthcare, Large auditoriums, Courtrooms, government and education environments. 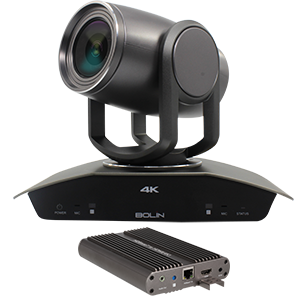 ■ Equiped with large back illuminated 1” Exmor R CMOS sensor, 14.4M of Effective pixels, Bolin BC 4K series camera delivers broadcast quality color to output 4K30p and also captures fast motion in Full HD 60p. ■ The camera can also operate in 23.98p mode for Cinematic 24p video. ■ The high quality 12x optical zoom Zeiss lens with SRZ (Sony Super Resolution Zoom) technology provides expended 18x (4K) or 24x (HD) zoom range without compromising detail. ■ Excellent low light sensitivity, FBC series camera can capture low noise color video images in low light conditions, like live hall and theater. ■ With Sony image module as its core, Bolin 9 series True Dual Output camera provides simultaneous 6G/3G-SDI broadcast quality video with no latency and 4K IP video output using the latest H. 264/265 video compression for live streaming and remote manageability. ■ It’s True Dual Output camera supports 1080i SDI resolution with 2160p/1080p IP resolution. SDI video and IP video can be set up separately. ■ 6G/3G-SDI video supports up to 2160p30, 1080p60, 1080i59.94 and IP video resolutions up to 4K/30. ■ Bolin 9 series PTZ camera provides multiple methods of controlling: Serial port RS232, RS422/485 and IP, Protocol supported: VISCA, Pelco, VISCA Over IP and ONVIF IP. It gives you capabilities of local control and remote control without distance limitations. ■ IP protocol RTSP,RTMP for online video streaming. Installation is simplified in a wide range of environments via: ■ RJ45 RS232/422 control port provides convience of wiring. ■ PoE+ and POH (Power over HDBaseT) to reduce cabling requirements. ■ Standard and ceiling mount and tripot with E-Flip function. 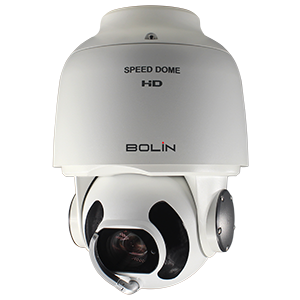 ■ Bolin 9 series PTZ camera extremely quiet and smooth Pan/Tilt movements combined with enhanced adaptive variable and super slow speed control provides accurate and effective operation experiences. 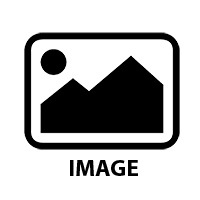 ■ Picture Profile Preset-Image parameter setting restore with presets and quick access operation. Optical Zoom 12X,With SRZ feature,18X zoom at 4K, or 24X zoom at FHD. BOLIN newly added 4K PTZ camera to it’s SDI+IP Dual Output PTZ camera family. This 4K Dual Output camera series uses high efficient H.264/265 HEVC encoder to provide vivid and smooth 4K30 IP streaming and RTMP live video streaming. It supports Visca-Over-IP and ONVIF IP remote control. The 4K IP video streaming is simultaneous video output with local SDI/HDMI video monitoring. ■ With Sony image module as its core, Bolin Dual Output camera provides simultaneous 6G-SDI(9 Series)/3G-SDI(7 Series) broadcast quality video with no latency and IP video output using the latest H. 264/265 video compression for live streaming and remote manageability. ■ It’s True Dual Output camera supports 2160p/1080i SDI resolution with 2160/1080p IP resolution. SDI video and IP video can be set up separately. ■ Model specifically, SDI video supports up to 2160p29.97, 1080p60, 1080i59.94 and IP video resolutions up to 2160p30, 1080p60/30. ■ Bolin Dual Output 4K PTZ camera provides multiple methods of controlling: Serial port RS232, RS422/485 and IP, Protocol: VISCA, Pelco, VISCA Over IP and ONVIF IP. It gives you capabilities of local control and remote control without distance limitations. ■ IP protocol RTSP,RTMP for online video streaming. 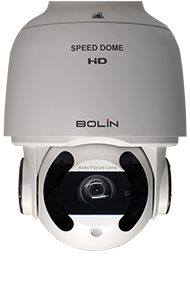 ■ Bolin Dual Output 4K PTA camera equiped with two types of image sensor. 9 Series: large back illuminated 1 inch Exmor R CMOS sensor, 14.4M of Effective pixels; and 7 Series: 1/2. inch CMOS sensor, 8.5M. ■ The camera delivers broadcast quality color to output 4K30p and also captures fast motion in Full HD 60p. ■ The camera can also operate in 23.98p mode for Cinematic 24p video(Via FW upgrade). ■ Extremely quiet and smooth Pan/Tilt movements combined with enhanced adaptive variable and super slow speed control provides accurate and effective operation experiences. ■ Picture Profile Preset-Image parameter setting restore with presets and quick access operation.